Side dishes are so easily overlooked. When deciding on a menu, you will find that most people think of what meat to cook and how to cook it first; once that is finalized, only then do they think of what to cook on the side when in actuality side dishes can be the star on the plate. How many times have you gone to a restaurant, ordered a fantastic meal but the side dishes are totally uninspired, sort of an afterthought? Why not put just as much love and attention into every aspect of the meal? I know that I like every component of my meal to be as tasty as the next, so I put just as much effort into the main dishes as I do the sides. My sides are simple but the flavors are complex and can stand as well on its own as it does along the mains. 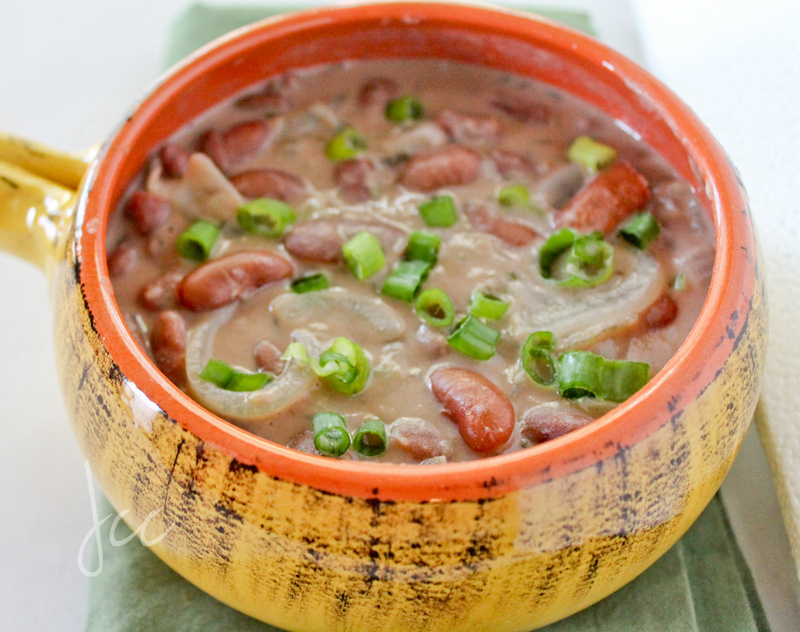 Take this Kidney Bean Stew for example; it’s so simple to make yet absolutely delicious. 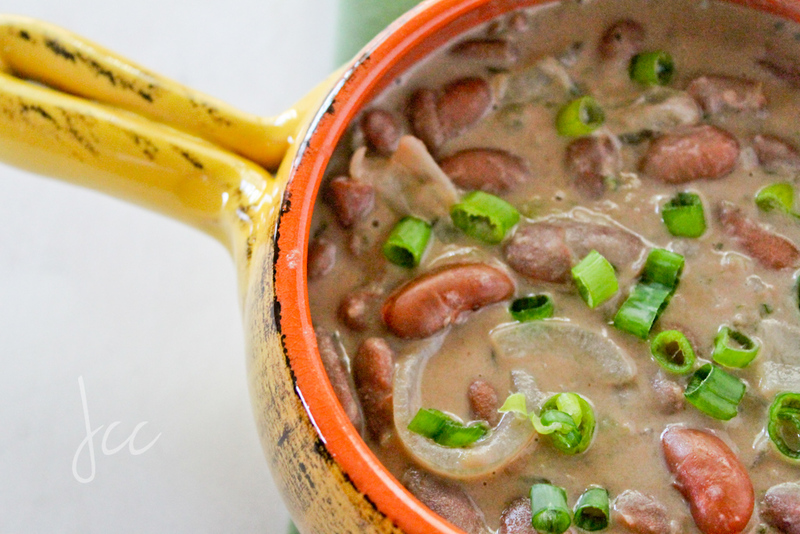 Cooked with coconut milk, cumin and fresh herbs, these beans are packed with enough flavor to be enjoyed on its own yet it was cooked within the time it took to cook the rest of the meal. That’s what I call a win win! 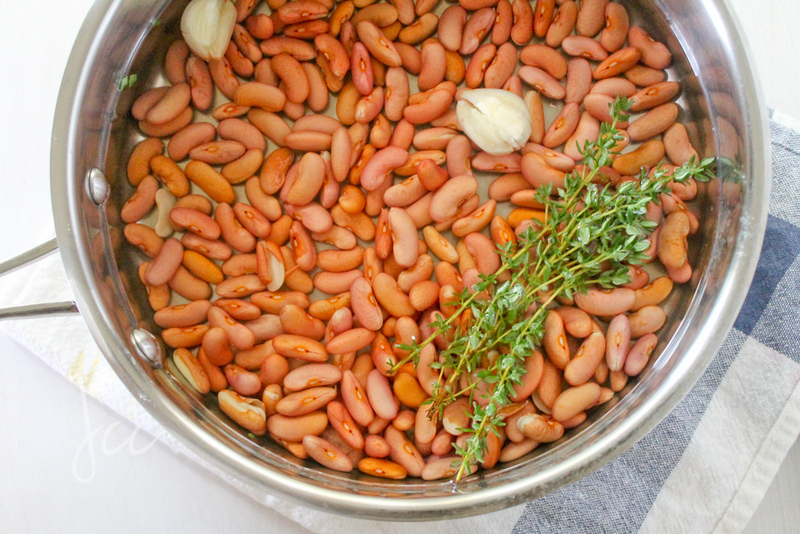 Place beans in a large bowl and add enough water to cover beans then let it sit overnight. Drain the water from the beans then add the beans to a large sauce pot with 4 cups water, thyme, wiri pepper and garlic. Bring to a boil and cook for 30 minutes. After 30 minutes add coconut milk, onion, chicken bouillon, cumin and salt, then cook for an additional 20 minutes or until beans are tender. Next add the chopped scallion and stir. Remove from heat. This is best served with rice. 1 cup chicken stock can be used in place of chicken bouillon AND 1 cup water. It is best to soak the beans overnight, if not it will take a lot longer to cook. To make this vegetarian, omit the chicken bouillon and used vegetable stock instead. How much Cumin is not listed in the recipe list though you mentioned adding it. I just used 1/2 tsp to be on the safe side since I’m actually making this right now. i added curry and it was great!